Twelve straight weekends of horrendous holiday traffic kicks off in Germany this Saturday. Also, alert as DFDS offers jobs to only 202 MyFerryLink workers. More details on tomorrow’s taxi strike around France. The SLR Club ventures into ‘one of the loveliest parts of Europe’. Leave early to avoid the worst delays. The holiday jams in Germany may be among the very worst in Europe but they start notably late on. The big delays are not really apparent until mid to late morning. This observation is based on almost two years of watching German traffic – that’s an awful lot of jams – but is also borne out by motoring club ADAC. It says peak times this weekend – the first of twelve straight busy weekends – will be 11-18:00 on Saturday and 14-20:00 on Sunday. Getaway day on Friday will start much earlier however, from 14:00 until 19:00. This does means there is a benefit to be had from leaving extra early, unlike in France where it pays to leave late. ADAC says it is not expecting ‘endless sheet avalanches’ of traffic this weekend. 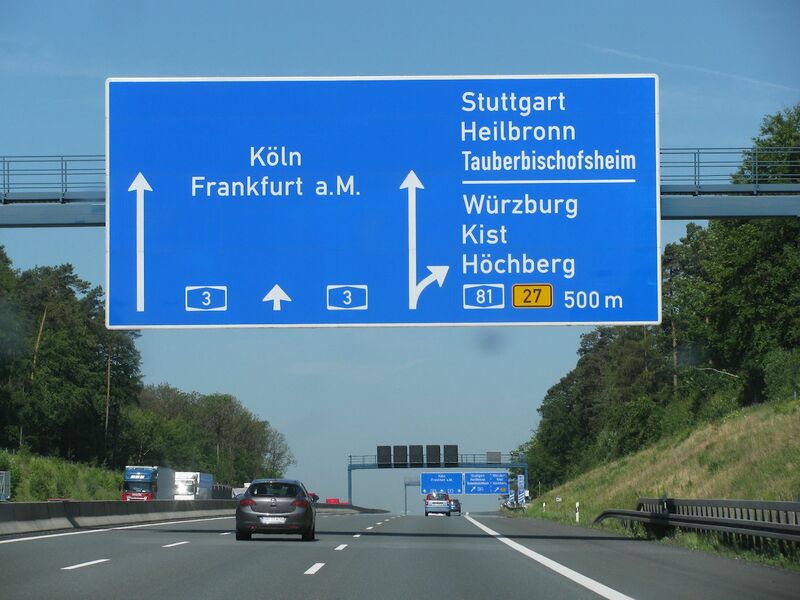 Nevertheless Saturday is marked in the top category – ‘very heavy traffic with long delays’ – as the first schools break up (in Nord Rhein Westphalia, the region around Cologne, Dortmund and Essen). Drivers head north to the Baltic and south to the Alps and Adriatic so cross-country routes will be busiest: A1 Cologne-Hamburg-Denmark, A2 Dortmund-Berlin, A3 Cologne-Austria, A5 Frankfurt-Basel, A6 Heilbronn-Nuremberg, A7 Denmark-Hamburg-Austria, A8 Karlsruhe-Munich-Salzburg and A9 Berlin-Munich, plus the A10 Berlin and A99 Munich ring roads. This being early summer many of these roads have road works. Outbound the worst is likely to be the A8 Karlsruhe-Munich. Coming back watch out for A3 Nuremberg-Cologne and A7 Ulm-Hamburg/Denmark. There are only two outright closures, the A261 in Hamburg between the A1 and A7 northbound (until 4 December), and the A3 at Wurzburg in both directions overnight Saturday-Sunday. Every Saturday until Saturday 8 August will be very similar in terms of heavy traffic. Fridays join in from 17 July. It might not be as adventurous as previous trips to Croatia and Scandinavia, but the latest SLR Club tour will certainly be scenic. 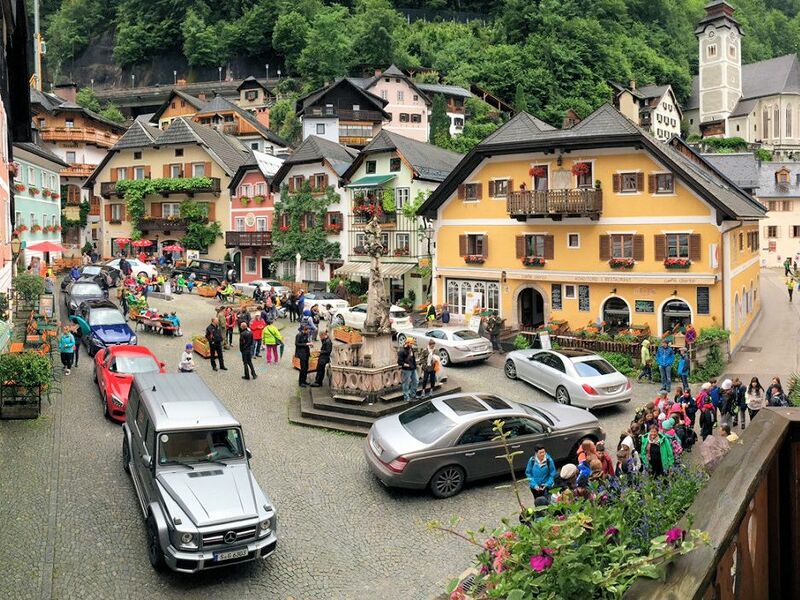 Day one of ‘Feel the Difference 2015’ saw the cars take on the roads in mountainous Salzkammergut, east of Salzburg in north central Austria, described recently by F1 journalist Joe Saward as ‘one of the loveliest parts of Europe’ (also read his roadtrip log Red Bull Ring-Paris). Follow along at @SLR_Club. Photo, lakeside Hallstadt via SLR Club. roundup: CROSSING THE CHANNEL. DFDS will only offer jobs to 202 out of 530 MyFerryLink workers when it takes over two of the operator’s ships next month the company says in a statement (via Dover Express). Uncertainty over job losses lay behind yesterday’s highly disruptive strike action in Calais, a day after Eurotunnel confirmed it would sell the ships to DFDS. The MyFerryLink boss told local news yesterday there had been no serious discussions with the workers about their jobs. Calais Mayor Natacha Bouchart has called a mass rally in the town centre from 10:30 on Saturday morning. The fear must be that ousted MyFerryLink workers will makes their voices heard before then. FRANCE. Strike action by taxi drivers around the country tomorrow – in opposition to controversial new taxi service UberPOP – is expected to last from 08:00-20:00. As reported at the weekend, drivers say they will ‘sit-in’ outside airports and railway stations around the country after ‘Operation Escargot’ go-slows from meeting points. With attendance likely to be high, knock-on traffic delays are possible. Particularly affected will be Paris (A1, A6), Lille, Lyon, Marseille, Toulouse and Nice. The government tried to reassure taxi drivers yesterday that the UberPOP service is already illegal and that enforcement is being stepped up, so far to no avail. Read more + (French).